Francis L. Urry was a prominent radio, stage, and film actor. He was a member of The Church of Jesus Christ of Latter-day Saints. Urry was born on January 23, 1908. He began his career as a private teacher then worked for several years for CBS radio. He returned to Utah and worked for KSL radio in Salt Lake City. He worked in network television and live theater. He appeared in numerous motion pictures produced for the LDS Church by Brigham Young University. He was well known for his role as the elderly trading store owner in the classic short film Johnny Lingo (1969). 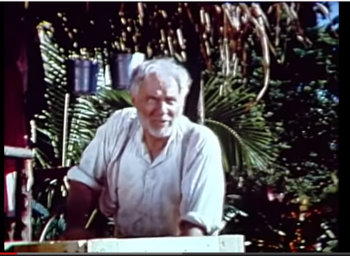 He starred in the leading role as President Lorenzo Snow in the classic film Windows of Heaven (1963). He also starred in the LDS Church video Come Unto Me and the classic short films The Gift (1977) and Man’s Search for Happiness (1964). He played the judge in the classic BYU film Uncle Ben (1978). He did voice work for the independent film "Teen Alien" (1978). He had a small supporting role in the feature-length film The Hideout (1974). He died on May 6, 1985. This page was last edited on 4 June 2014, at 16:03.